TummySafe© is a Food Manager's Certification Course for Child Care Providers. The 6 module food safety curriculum includes food storage, serving, cross contamination, diapering, and many other topics specific to child care providers. Six contact hours are awarded for completion of the curriculum. An 80% on the Certification exam is required for certification. Certification lasts for five years. For $25, you will be emailed a link to the course. Once you have purchased the first access for $25 you have the option of adding 2 more for $5 each. You can complete the course on computer and Android phones but it is NOT compatible with IPhones or IPads. I don't have Internet access. What should I do? I’m done with the online curriculum. Am I certified TummySafe© now? Make money order or certified check out to School of Human Sciences. Be sure to include all your contact information, including phone numbers and the county where you would like to take your exam. Once exam payment is received, your local proctor will call to schedule an exam date and time. Most exam dates can be scheduled within 30 days of exam payment, often within 2 weeks of payment. Exam results are usually sent out within 2 weeks of test date. I have a question that wasn’t answered here. What should I do? 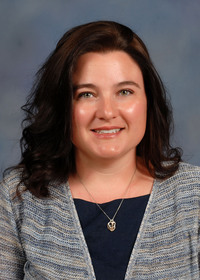 Jenna Schilling at jennas@humansci.msstate.edu or 662-325-8930. TummySafe© is an Online Course! - enroll and pay online! To pay by money order, download this form! Please mail the form and money order or certified check made payable to The School of Human Sciences (cash, personal, or business checks are not accepted).